Good afternoon everyone! Stephanie here today to share my Lovebugs layout with you and with our team at CHA and all the fun photos we've been posting I thought I'd share some sweet inspiration featuring the new Lovebugs Collection with you today. First off, it's so nice to be back here and I'm excited to get creating for you all again, I've really missed it here! 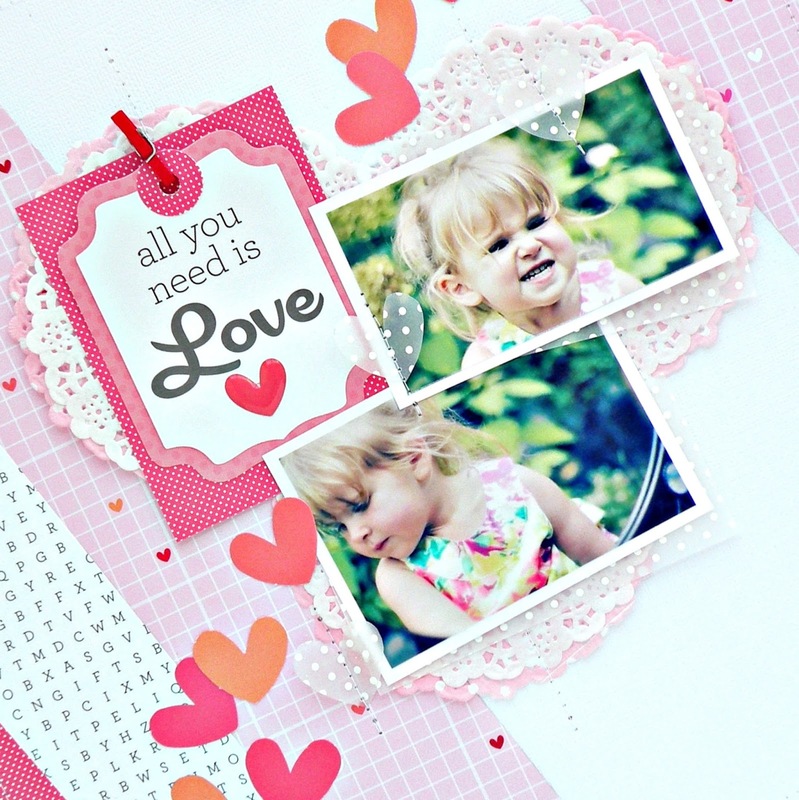 For this layout I used the new Lovebugs collection and some of my favorite pictures of my niece Kimberly. I chose to use some of the Doodlebug Paper Doilies layered under my pictures to use as a focal point, they are perfect mixed in with this collection! I'm a such a sucker for doilies and these are awesome! I also used the 6x6 Paper Pad for some of my layers as well as some Lily White Sprinkles Vellum. to help keep your eye moving around the page I sprinkled on the hearts from the Mini Love Letters die cut pack, I LOVE them! I chose to layer a few of the patterned papers for my layout to keep the background interesting without overpowering my pictures, I like that there are so many fun and sweet papers in this collection which means lots to choose from. 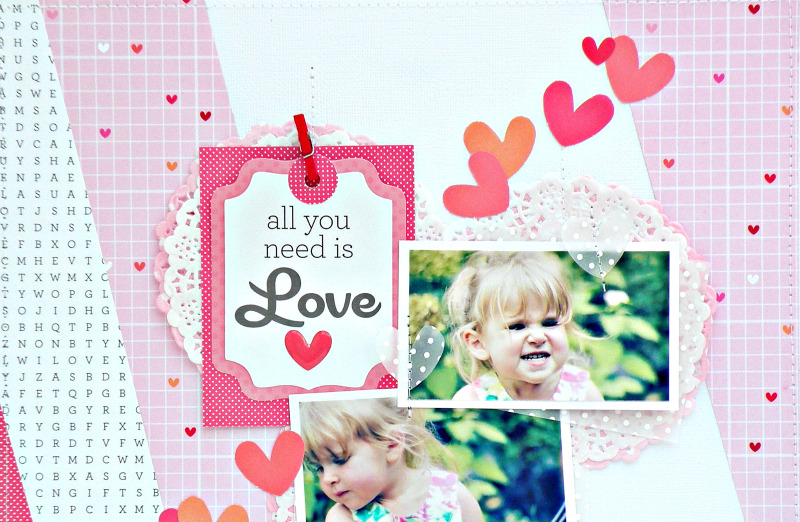 Lovebugs is a great collection for Valentine's Day but it can also be used on some cute everyday pages and cards. Thank you so much for stopping by today for my first layout of the new term. I can't wait to see what the rest of the year will bring for Doodlebug and all the amazing projects the rest of the girls will bring to the table, Have a great day! Such a sweet layout Stephanie!!! 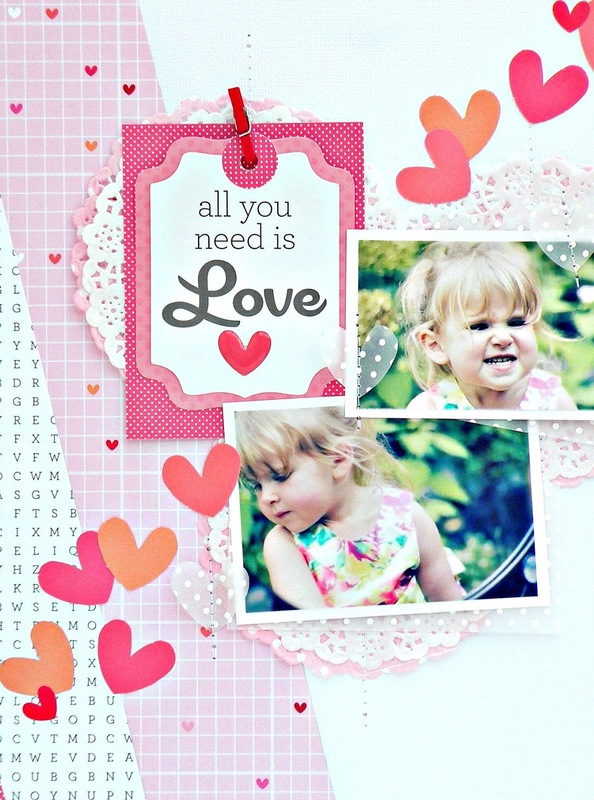 ADORABLE photos and layout Stephanie - LOVE IT ALL!!! AWWWWW your pics are as cute and precious as can be!! Your LO is so cute!! Love the papers and embellishments. You really did one outstanding creative job!! YOU ROCK!! 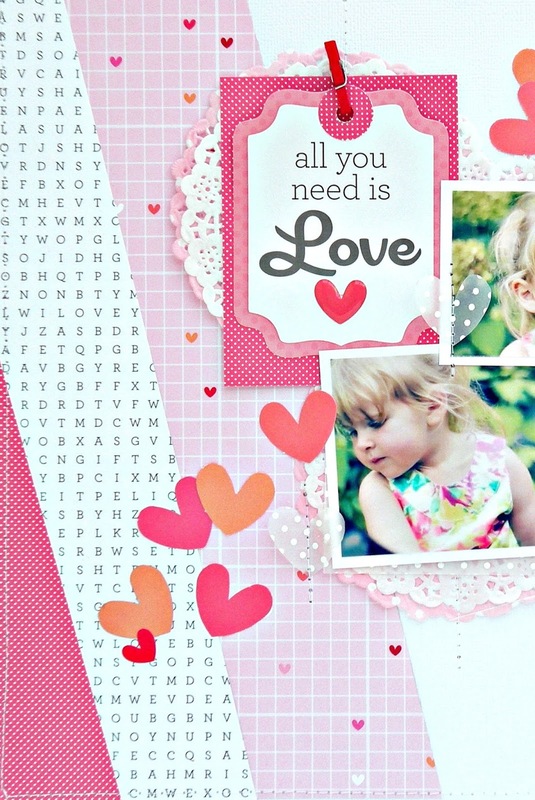 Such an awesome layout - love the use of the vellum and the doilies and all those really bright and fun hearts!! Really well done and the pic is adorable!! !